Saguaro Highlands is a gated community of 130 luxury homes, on up to two-acre, built by Toll Brothers in North Scottsdale. Saguaro Highlands has 5 floor plans and a community ramada and tennis court. Saguaro Highlands is located West of Scottsdale Road with an entrance off of Dynamite Blvd. This gated community is close to shopping, schools and everyday conveniences. 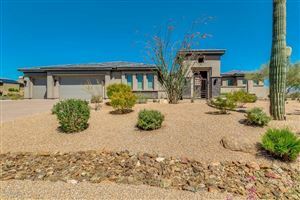 See all Saguaro Estates - Desert Foothills.